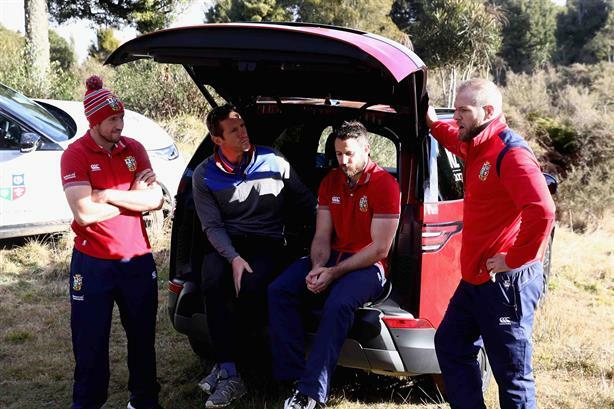 Land Rover has released the third instalment in an eight-part branded content series that follows the British & Irish Lions' rugby tour of New Zealand. The first and second instalments of the Tracking the Lions series launched in May, and have so far amassed roughly 15,000 views on YouTube. The third was launched last week. The three have racked up a total of more than 1m views on Facebook. The series takes fans behind the scenes of the touring rugby union team, and tracks the course of the Lions, from squad selection and progress on the field, to key moments and milestones. Land Rover, which has sponsored the Lions for 16 years, mobilised its roster of ambassadors - all of whom have played for the side - to act as hosts and narrators of each episode. The latest instalment (below) follows back row players James Haskell and Justin Tipuric, and winger Tommy Seymour as they navigate mountainous terrain in Land Rover's new Discovery model. Part-way through their journey, the trio call on former rugby World Cup winner Will Greenwood to "rush over with some tea bags, milk and decent chat". The video, which shows the players revealing secrets about their team-mates, allows Land Rover to showcase the Discovery "in an editorial way", said sport and entertainment agency CSM, which created the content series. "That puts the vehicle at the heart of a key part of Land Rover’s activation of its Principal Partnership of the Lions team," said the agency, which also handles sponsorship and comms activity for Land Rover. The series is hosted on Land Rover's owned channels, including on Facebook and its dedicated rugby account on Twitter (below). The campaign runs across the UK, Ireland, New Zealand and Australia. The British & Irish Lions, made up from the best players from the England, Ireland, Scotland and Wales teams, are currently touring in New Zealand. The All Blacks claimed victory in the first test between the two sides, which took place at the Eden Park stadium in Auckland on Saturday (24 June).